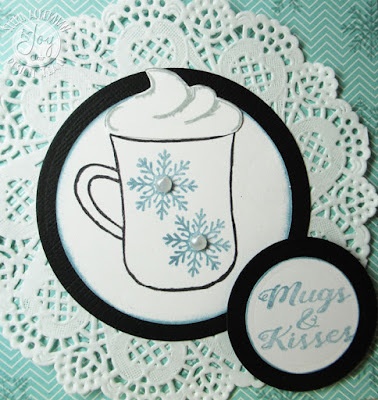 Hi everyone, did you know it's National Cocoa Day? 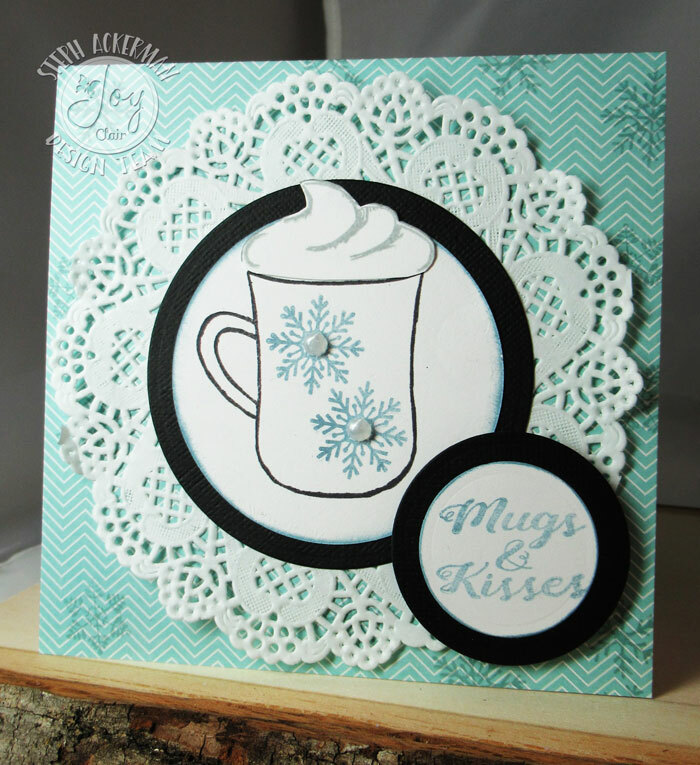 I'm using one of Joy Clair's newest stamp sets - Christmas Cocoa. 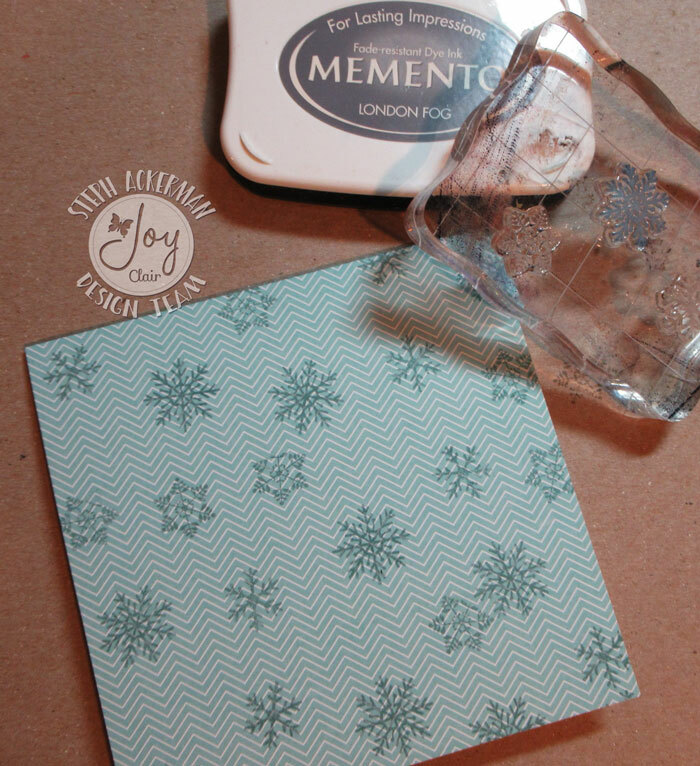 I used Memento London Fog ink and stamped snowflakes on the card. I stamped the mug in Tuxedo Black ink and stamped the whipped cream with London Fog Ink. 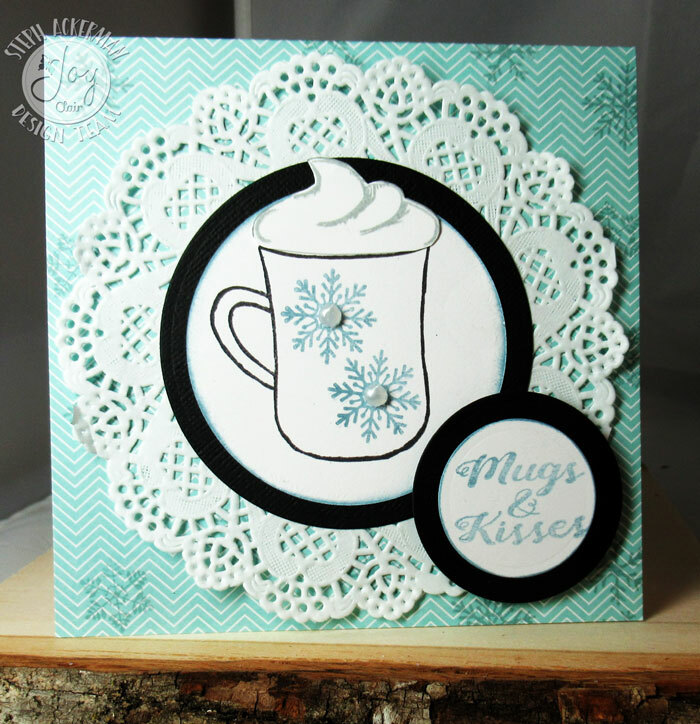 I fussy cut the whipped cream and added it to the mug with glue dots. Snow flakes were added to the mug and dew drops were placed in the center. The mug was matted with black cardstock and then added to a doily that was then added to the card. The phrase was stamped and die cut and added with foam adhesives.